So you’re a professional and any imperfections are unacceptable? You have a great costume, and entire range of extras, so it would be a shame to spoil the effect with a poorly-chosen beard and wig. 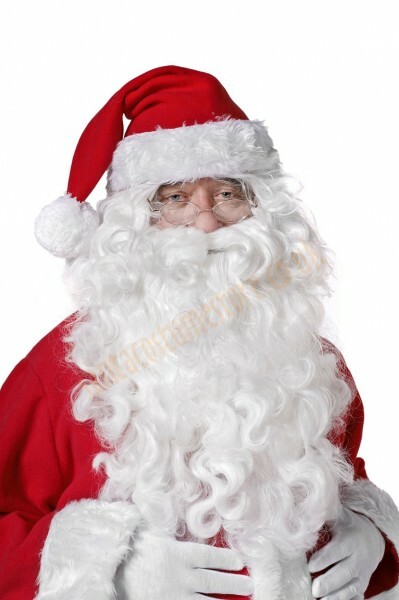 By choosing the long white beard that we have to offer, you can be sure that the end result will be of the highest quality, and when you glance in the mirror you’ll tug at the hair yourself as it looks so real! 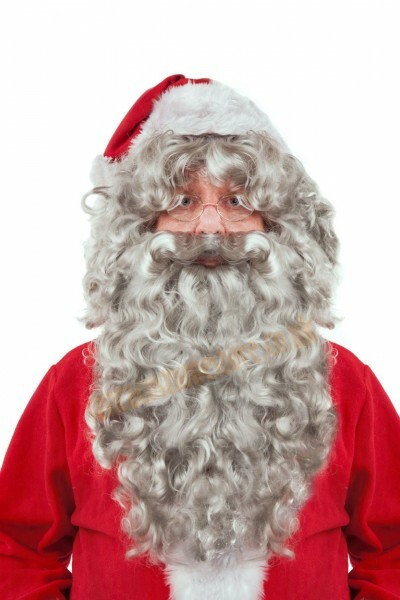 A long and thick Santa beard in a set with a wig, 15.5" (40 cm) in length. The hair is warm white in colour, and is arranged in gentle waves – making it look natural and convincing. In addition the beard features a generous moustache. 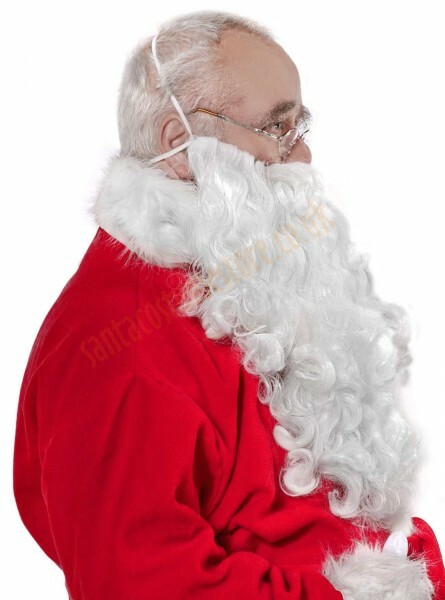 As a standard the beard is fastened with two elastic straps, although the Santa Claus beard can also be stuck in place with special beard glue. 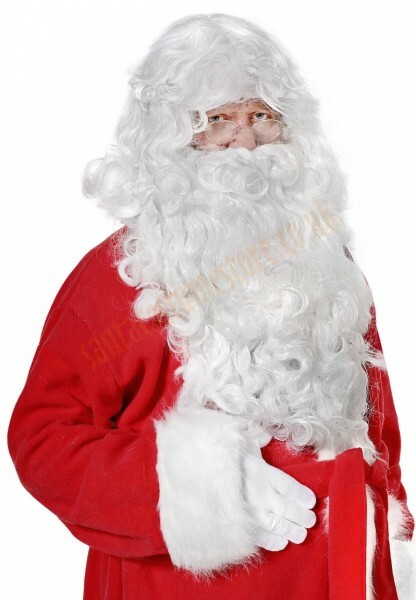 The hair in the wig hangs to the wearer’s shoulders, thoroughly covering their own hair and ears, as well as the straps holding the long Santa beard in place – and as a result Santa remains unrecognisable. The set also includes self-adhesive eyebrows. When you wear this set, you’ll feel like an authentic Father Christmas! 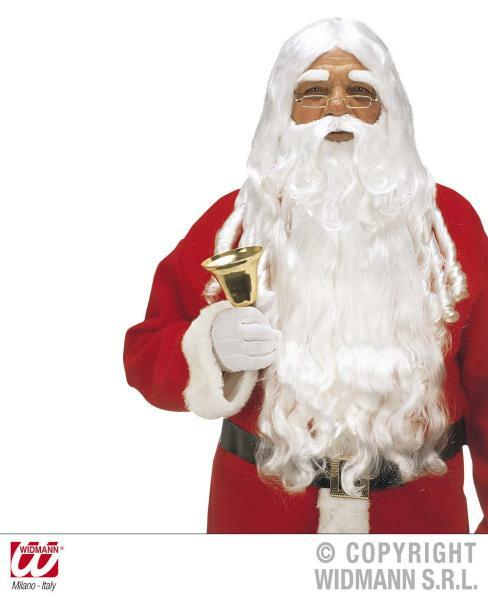 NB: this product only contains the Santa beard and wig. Other costume parts visible in the photos may be purchased separately.